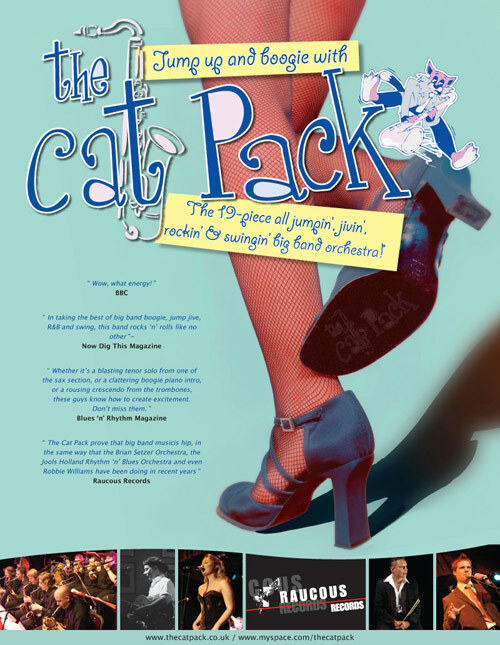 The new Cat Pack CD is here!! Entitled "It Ain't What You Do", it features 16 brand new tracks by the UK's most jumpin' big band orchestra including new numbers and new arrangements of classic tunes. As with our previous CD, it's on the Raucous Records label (RAUCD 180). For a limited promotional period, you can buy the new CD for just £10(+P&P) from the Merchandise page here on the website. Also available as a very special offer, buy the new CD and the first EP, 'Everybody Wants To Be A Cat' for a combined £15(+P&P). For more information on both the CDs, please visit the Recordings page. 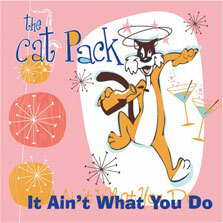 All contents of this website are, unless otherwise stated, ©2003-19, The Cat Pack. All Rights Reserved. Web Design by TrumpetBoy. If you experience any problems with this website, please email the Webmaster. The Cat Pack website is proudly powered by WordPress 4.7.13.